UPDATE: As of January 10, 2019 this workshop is sold out. Please contact us to be placed on a waiting list, and please do check out our other workshops. 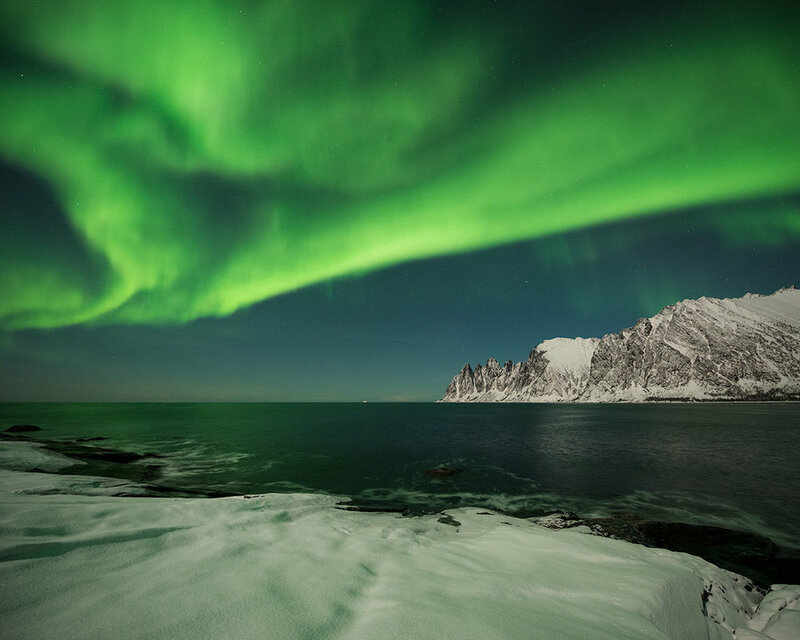 Come with us to the Norwegian Arctic Circle, and photograph the dramatic Lofoten Islands. 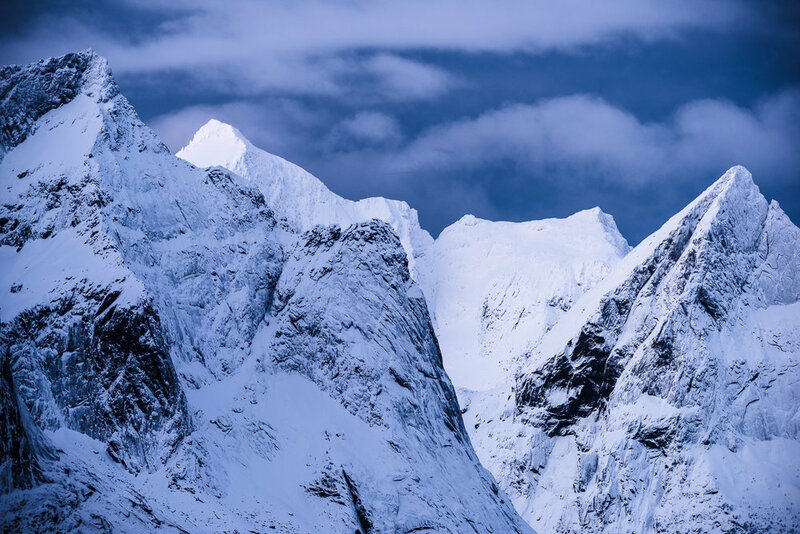 We’ll spend five days photographing jagged mountain peaks in and around Lofoten, then fly to the region known as Senja, for more amazing steep mountain landscapes, and hopefully, northern lights. 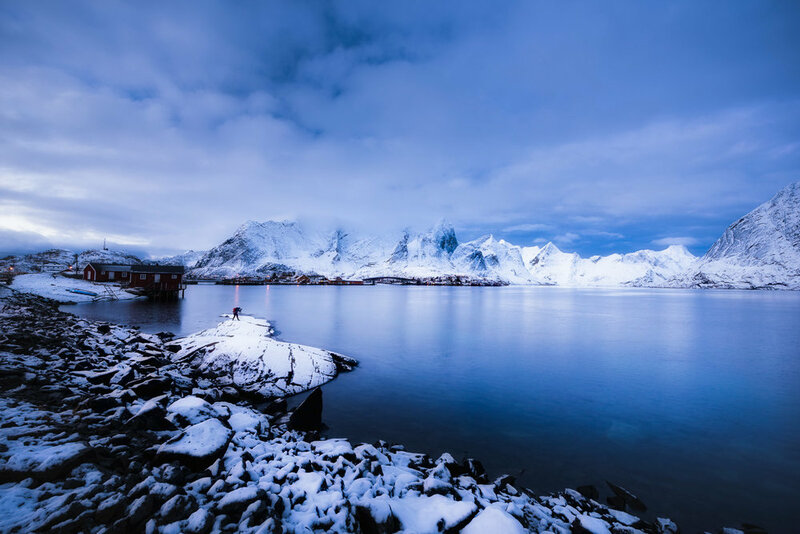 You’ll photograph icy fjords and frozen lakes, rocky seacoasts, turquoise water, white sand beaches, rustic fishing villages, and more. 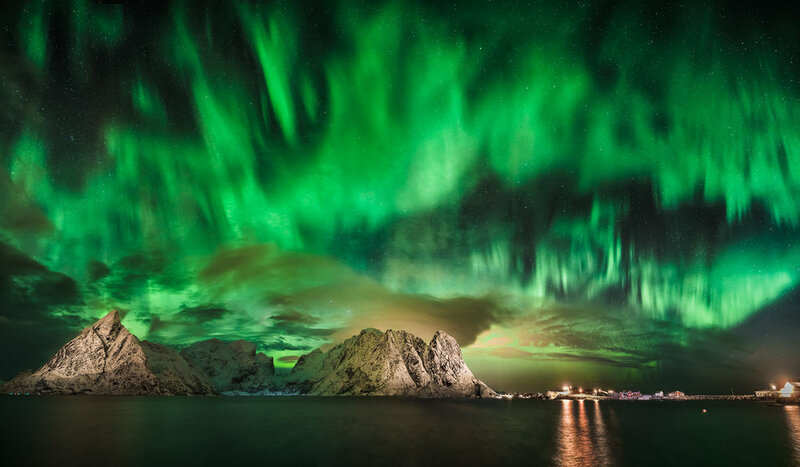 If we’re lucky, and the weather is clear, we will be treated to some of the best northern lights on the planet. 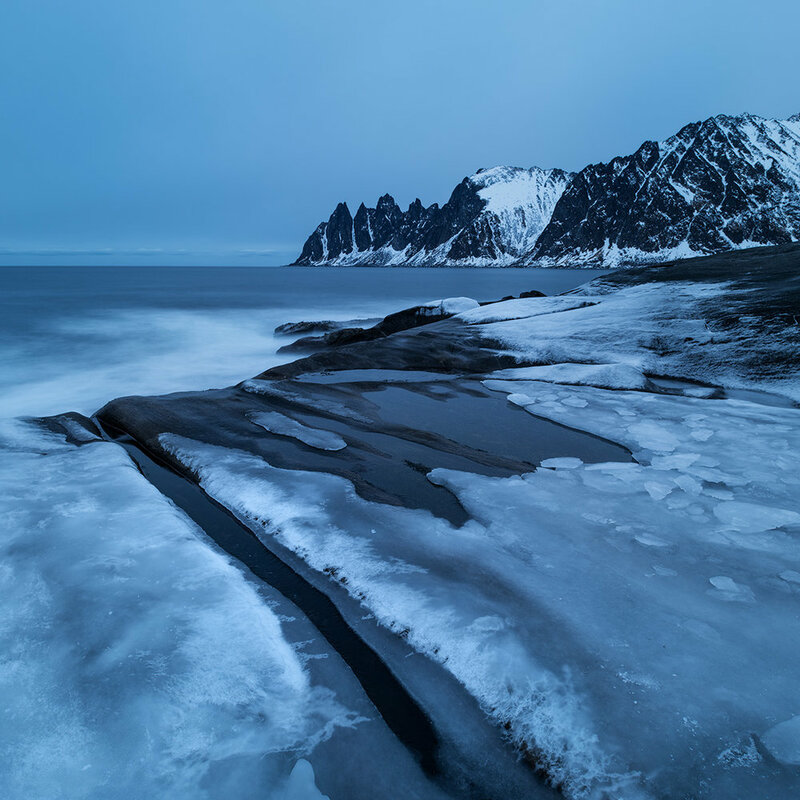 This workshop will be led and guided by Randy Hanna and Muench Workshops local pro and guide Cody Duncan, who has logged more days photographing along the northern coast of Norway than most anyone! Most shooting locations are very near to where we’ll park our vehicles. You’ll need to be able to walk on uneven, and at times, slippery and icy ground. There will be some opportunities for the more adventurous types to hike or climb a little bit. 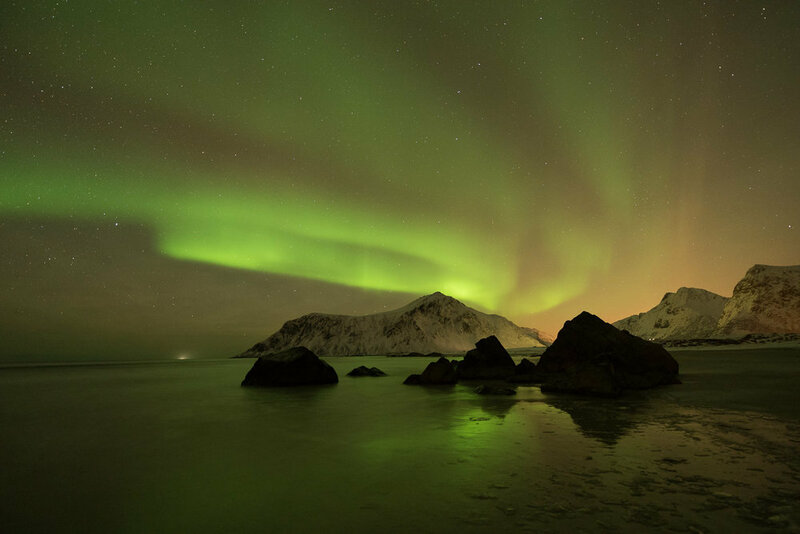 January 21, 2020: We will meet as a group in the airport in Leknes and drive about an hour south to our base in the beautiful fishing village of Sakrisøy in the heart of Lofoten. More beaches and seacoast—Flakstadoy-Skagsanden, Ramberg, Yttersand, and Myrland. 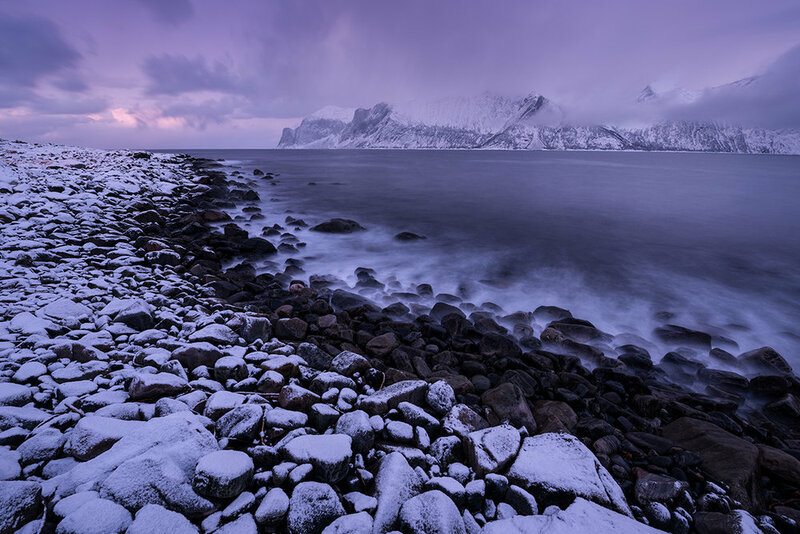 January 24–26, 2020: After our morning shoot and breakfast, we’ll head back north one hour to Leknes, where we’ll spend two nights, at some of the most beautiful beaches in Lofoten. January 26, 2020: We‘ll spend the morning and afternoon photographing the nearby beaches. An early dinner and then we drive to the airport in Leknes to board a Wideroe flight (ticket included) to Tromso. We will spend the night in Tromso at the Scandic Grand Tromso hotel. 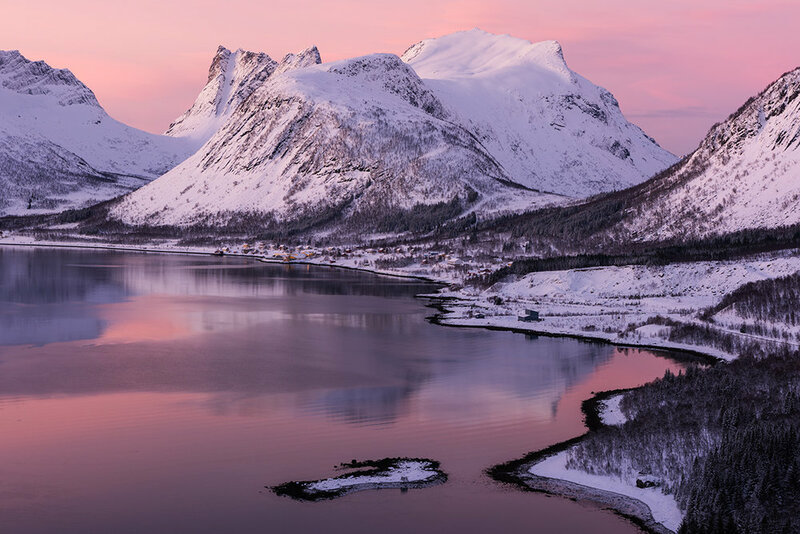 January 27–29, 2020: After breakfast, we’ll make the scenic drive up to our second arctic base in the quaint town of Mefjordvær. 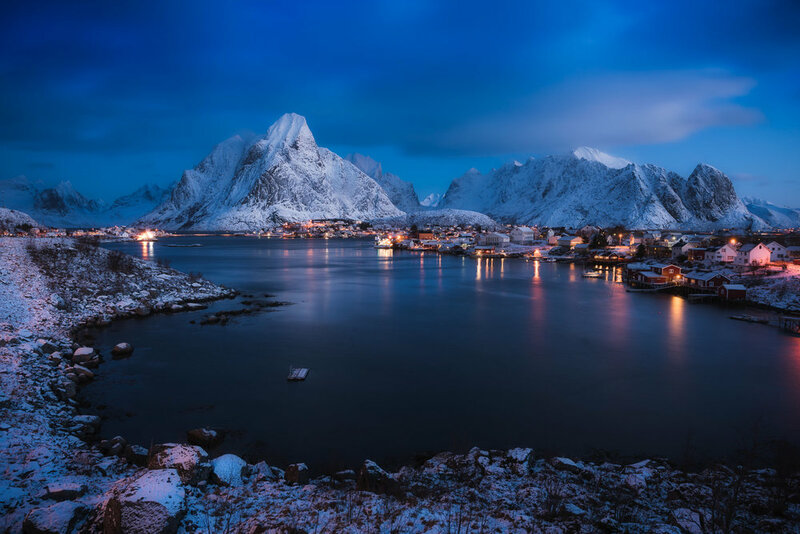 This amazing little village is situated on the wild shores of the fjord surrounded by steep mountains and rugged ocean. We’ll spend two full days exploring various regions around our hotel. January 30, 2020: After breakfast the workshop concludes but we’ll provide transportation to the town of Bardufoss, where everyone will catch flights home. 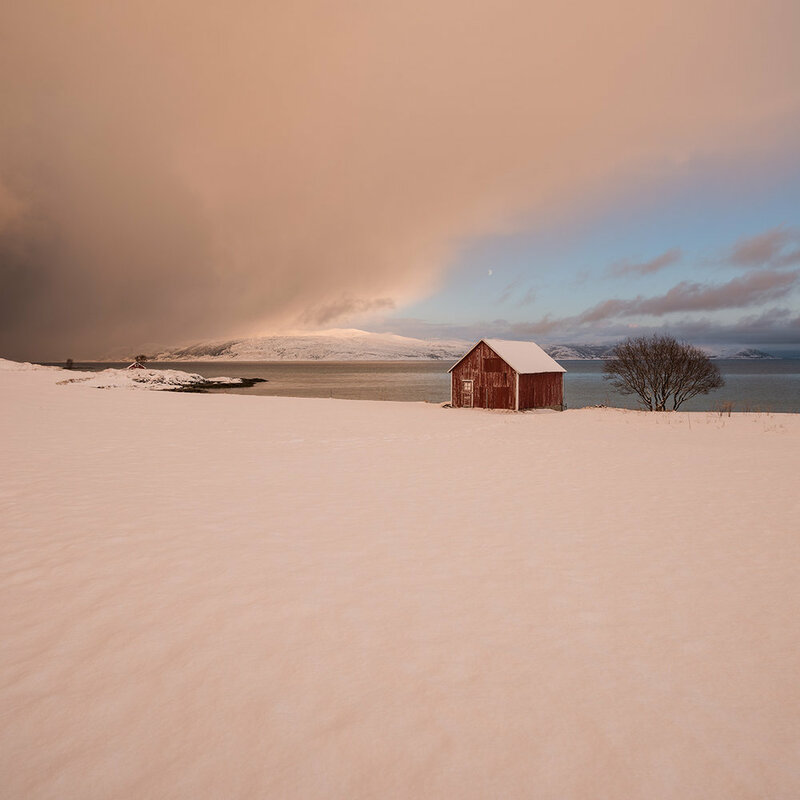 Look for flights out no earlier than 11:00 AM, and we recommend flying back to Oslo with Norwegian Air (BDU to OSL). As always, please show us your flights before booking. Your deposit of $3,500 will secure your place in this workshop. Final payment of $3,995 is due by October 1, 2019. All of our standard terms and conditions apply. Need special payment arrangements for your deposit? No problem, just ask us.